From stimulation to control - using Bone Morphogenetic Proteins for controlled regeneration under compromised condition. The aim of this focus area will be to understand the complex mechanisms of BMP signalling in vitro and in vivo and derive strategies for controlled delivery of these potent cytokines to compromised patients in clinical settings. BMP signalling plays a crucial role in bone development, homeostasis and regeneration. Further investigation of BMP signalling is necessary to determine the optimal release conditions for the stimulation of healing. Specifically for aged or compromised individuals, an effective treatment strategy using BMP signalling is still lacking. Furthermore, in vitro and in vivo analyses have demonstrated that biomechanical loading may influence BMP signalling, but an understanding of the molecular mechanisms underlying these processes remains unclear and will be a central aspect of interdisciplinary research within the BSRT. 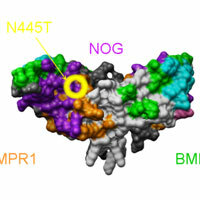 The basic principles of BMP signal transduction will be further analysed (Knaus’ lab). RNA-Seq technology (Mundlos' lab) will be integrated into these studies for a molecular understanding of the bone defect healing after BMP stimulation. The bioinformatics and molecular modelling labs (Schütte’s lab) will perform integrative analysis of genomics data including RNA-Seq in order to improve understanding of bone defect healing on a genomic scale and to identify promising candidates for targeted research. BMP mutations involved in human diseases will be investigated and new BMP variants will be developed for more effective stimulation of endogenous repair (Seemann’s lab). Promising BMP variants will be evaluated in human MSC’s from compromised patients (Perka’s lab). Further analysis of BMP variants will be performed in vivo using bone defect models in order to understand how BMP stimulation is influenced by physical constraints (Duda’s lab). These studies will be complemented by the development of specific drug release systems based on degradable multifunctional polymers (Lendlein’s lab) to facilitate specific and sequential BMP release at the site of injury.